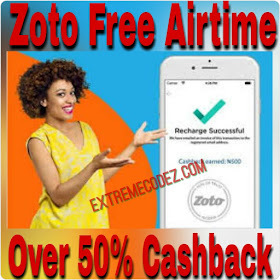 Zoto has been on existence since years back but then, they only give 15% Cashback on any recharge which is somehow poor but better than nothing. Until recently when they released a new update which now guarantees 50% Cashback whenever you recharge your line with N100. This means you get another free N100 plus the one you recharged. Apart from that, Zoto also introduced referrals which is better than what Top up Africa or Geopol offers. Zoto gives you a massive N1000 Naira free of charge when someone uses your referral code or link to sign up. According to Zoto, you can earn up to N30,000 on referrals and this money can be used to purchase anything via the app like buying airtime and data bundles. It is very easy, users need to use a Mastercard or Visa card when recharging as there is no support for Verve card users yet. Is It Safe To Use Zoto App? Zoto app has been available for some years now but only few people knew about it. They use one of the strongest security measures to protect users. All transactions are encrypted and in fact, CBN is aware of this app. » Zoto is Nigeria's leading mobile phone recharge app. » Invite a friend to Zoto & earn N1000 on friend's first recharge. » Invite upto 50 friends! 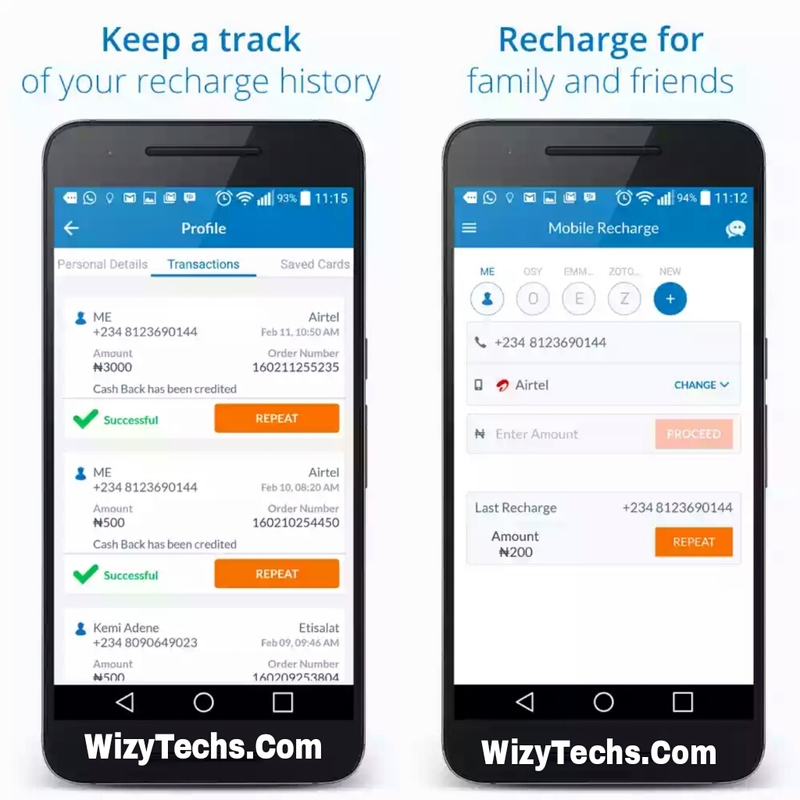 » Fastest Recharge: Complete your online recharge transaction within seconds. » ZotoCash for super quick mobile recharge experience. Your money is always in safe hands. » View your earned ZotoCash and use them to recharge. » Great customer support to handle any kind of unexpected issues. We promise to get back to you within 24 hours. » The app is small size, fast and light on your mobile phone and network. Works very well on slow data connections as well. Where Can I Download Zoto Recharge App? Download Zoto Here and start making money on your phone. => Zoto will automatically call your line for verification. Remember, you don't need to pick the call. It's just to verify if the number is active. => After that, you will be required to enter your Name and email (you will receive notification on your phone number and email whenever a transaction is made on your zoto account. That’s all. You now have an account. You can see more details and your referral code plus links when you swipe or tap on the top left corner of the app. 1. Just enter the amount you want. Then click on Proceed. 4. The next step is to choose either to use your hardware token, or OTP token, for authentication. 5. Now input your Zoto pin (zoto pin is a 4-digit number to further authenticate the transaction). 6. Finally, your phone would be credited immediately and you will receive both SMS and email notifications from your bank and from Zoto. With this app, you don't need to worry so much when your airtime is used up especially when making important calls. All you need is just open the app on your phone and recharge quickly and continue the call without going out to buy airtime from vendors outside. You can as well, recharge your friends line without stress. Apart from that, Zoto also introduced referrals which is better than what Top up Africa or Geopol offers.